We tested plenty of different sound systems and decided to go for a selection of MACKIES HD-series speakers. Their main drawback is size and weight, but provide a very neutral and "relaxed" sound reproduction. No frequencies seem to be overrepresented or discturbing. 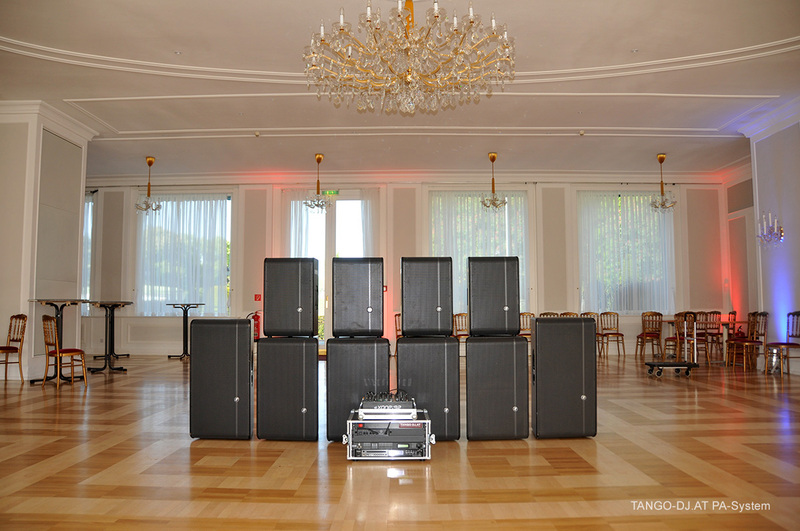 Way more power is provided than necessary for even the loudest Tango party resulting in a very relaxed playback. 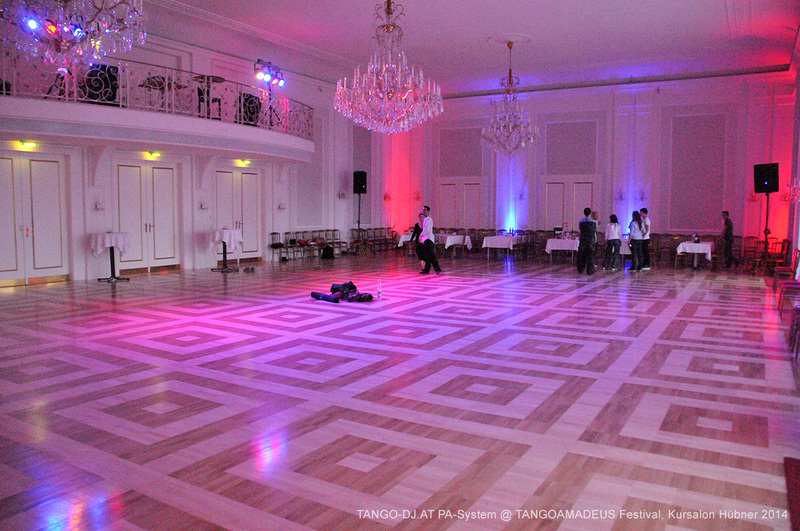 And there is enough power left for the optional much louder Non-Tango-Afterparty. We especially like the full sound of the HD-1521. We could not find a lack of mid-range frequencies commonly a problem with 15" 2-way speakers. Which of course is obviously no problem at all for the 3-way HD-1531 speakers. Due to size and weight (50kg!) 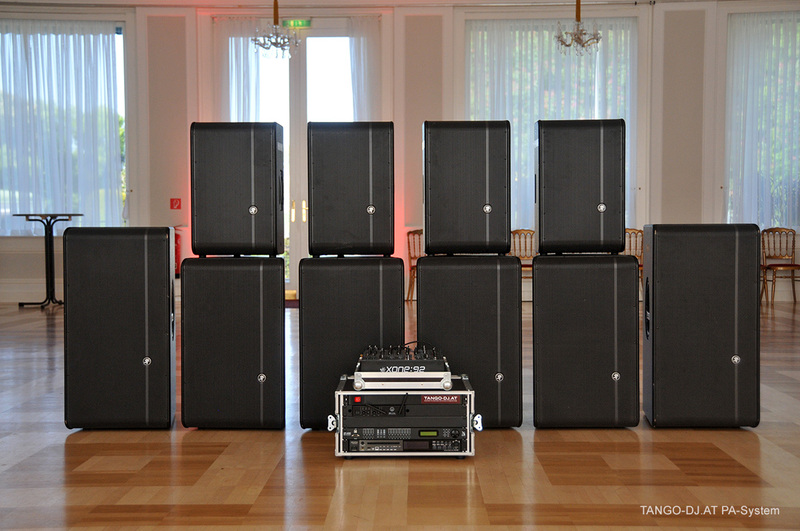 you won't find those often for Tango sound systems. 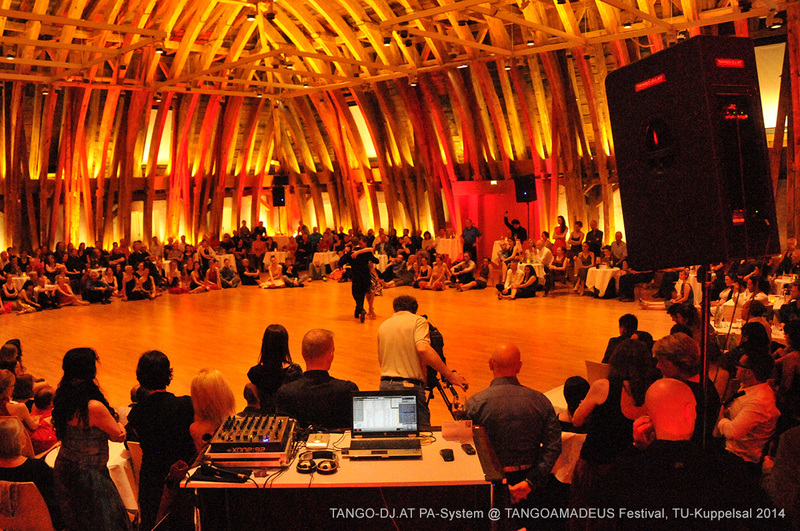 If you like your Tango event to be powered by our PA-System, get in touch with us. Please find the list of equipment and a contact form below. When the message was send successfully you will see a confirmation message in green colored text. Please note: I will reply to any inquiry made via this e-mail form within one or two days. So in case you do not receive a reply within this time I did not receive your message! Please resend your message or contact me using my e-mail address above.